Providing creative, cost-effective solutions for all your needs! Copyright @ 2011 Tri-State Transfer & Salvage, Inc. All rights reserved. Tri-State Transfer & Salvage, Inc. began servicing railroads more than 35 years ago. We pioneered the derailment service with innovative techniques that clear the right-of-way quickly. We can reopen the railroad to traffic faster than any other company! 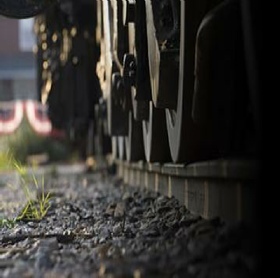 Through the years, we have diversified our offerings to become one the leading contractors to the railroads by offering unparalleled service and commitment to detail. Our crews are highly trained with over 35 years of rail experience. We can respond to any derailment situation to re-open the tracks, remove any product & clean up the site the fastest in the industry. Whether the call is for a mainline derailment or a yard derailment, we are committed to having equipment and personnel on the road within an hour of the emergency call. Our team will coordinate all our resources so the proper equipment and crews are mobilized in the most efficient manner to your location. Tri-State Transfer & Salvage, Inc.